There’s an important, fact-based conversation the country should be having right now about safely harnessing its offshore energy – strategically valuable reserves of natural gas and oil that are critical to America’s long-term energy, economic and national security. While no human endeavor is risk-free, industry standards, modern technology, innovation and experience working under the oversight of state and federal officials have made offshore development safer than it has ever been – and continuously becoming safer because technologies are ever-improving. Safety isn’t just an industry priority, it’s a core mission – because we care about the well-being of our workers, coastal communities and the environment. 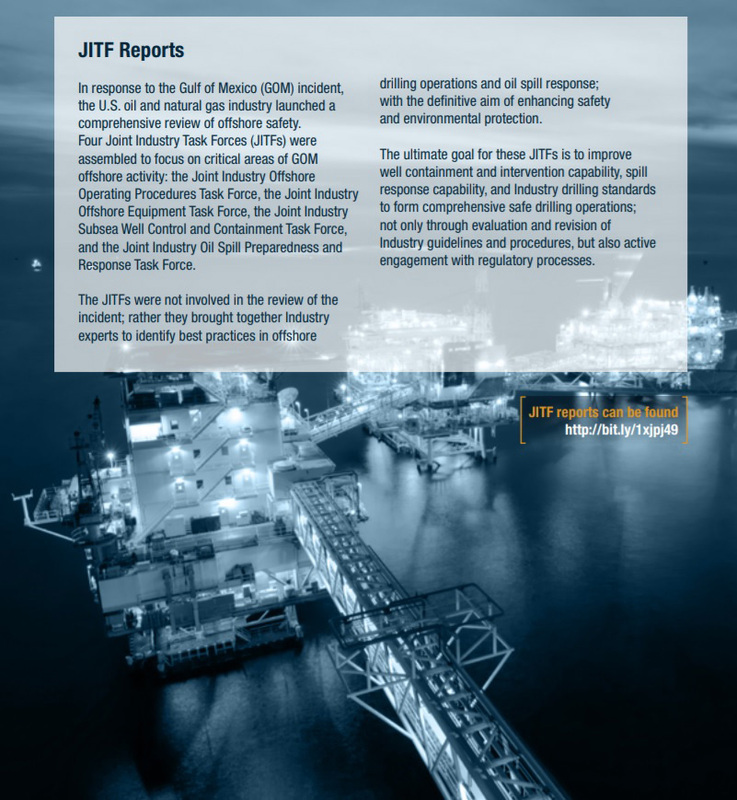 Industry has built and is adding to a culture of offshore safety, with more than 100 exploration and production standards created or strengthened since 2010. Nearly 100 of API’s standards are referenced by the federal Bureau of Safety and Environmental Enforcement in its regulations. The Center for Offshore Safety helps offshore operators develop safety and environmental management systems, which set out training, safety protocols and layers of safeguards designed to prevent potential incidents from escalating. We have more technology and expertise than ever before to respond to accidents and equipment failures. Industry has demonstrated for decades that energy operations are safe and compatible with a variety of uses, including tourism and fishing. As a blanket statement – typical of opponents – this simply isn’t true. 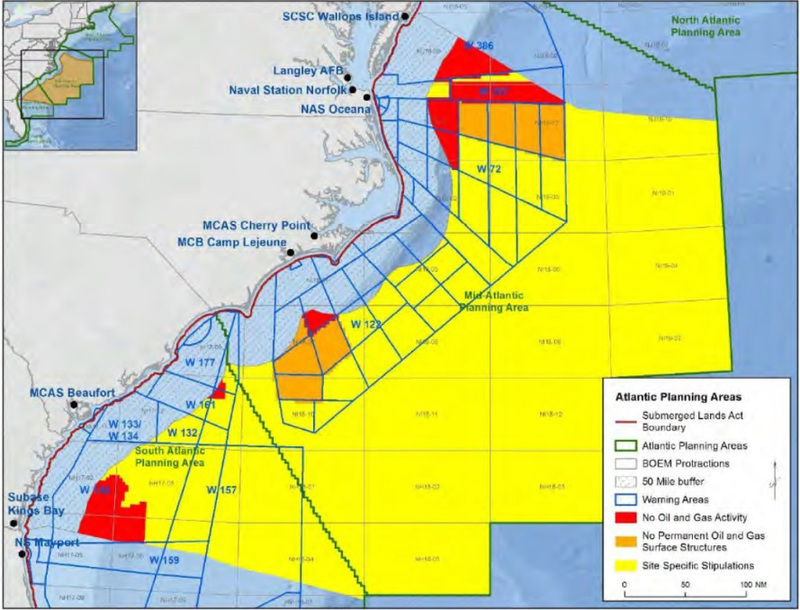 We discussed the military compatibility question in this post, pointing out that nearly 97 percent of the eight planning areas included in the current offshore leasing plan would be fine for oil and natural gas developing, either unrestricted or under site-specific stipulations. The fact is through decades of offshore energy activity on the outer continental shelf, industry has shown operations can coexist with the military. Again, technologies and continual improvements in processes and efficiency minimize surface presence and reduce potential conflicts. Industry has a history of cooperating with the military in the Gulf. The Defense Department has a process to work with Interior on where offshore drilling may occur relative to its bases and operational needs, and industry respects that. The U.S. energy renaissance is producing record amounts of domestic oil and natural gas. This has benefited individual Americans, businesses, manufacturers and our economy as a whole while strengthening U.S. security in the world. While that’s a great story, today’s energy abundance isn’t guaranteed tomorrow. 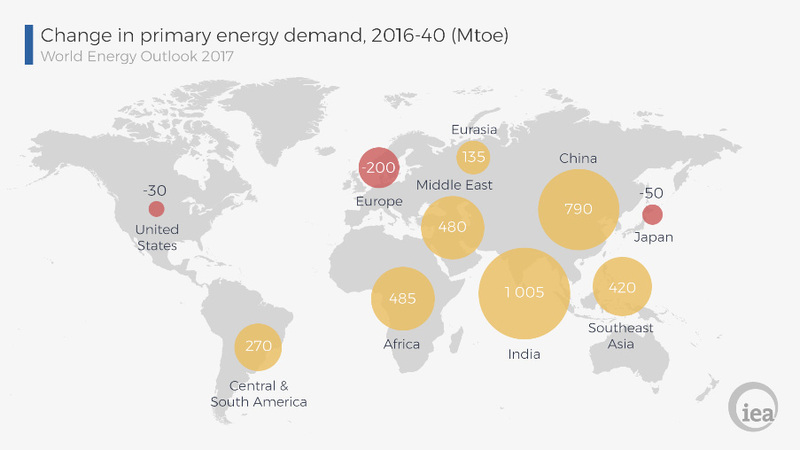 The U.S. Energy Information Administration and the International Energy Agency (chart below) project growing demand for natural gas and oil, the leading energy sources for the U.S. and global economies. Offshore energy plays a vital role in meeting energy needs today – about one-fifth of U.S. oil production came from the Gulf of Mexico in 2017 – and will tomorrow. But only if we plan and act today. The United States must be able to fully explore for offshore oil and gas, because no one can predict America’s energy needs or a state’s future economic needs. Although shale oil production in Texas and North Dakota provides great supplies of domestic oil today and the U.S. has become the world’s largest natural gas producer, we must think about meeting tomorrow’s demand, not just today’s. A corollary is that we don’t need our offshore energy because renewables can take over – a big claim with big holes in it. It isn’t true today and isn’t projected to be true in the foreseeable future. Excluding hydro, renewables account for less than 10 percent of U.S. energy use today and are projected to account for less than 15 percent of our energy use in 2050. There’s a lot of scholarship on the infeasibility of the drive for “100 percent renewables now,” which we’ll discuss in future posts. Keep in mind that natural gas is the essential partner of wind and solar – because both are intermittent energy sources and because solar panels and wind turbine blades are made with help from natural gas and oil. Another (false) corollary asserts that energy companies aren’t really interested in exploring and developing the offshore. We debunked that one in this post. The fact is energy companies make investment and exploration decisions based on long-term projections, not current market conditions. The fact is seismic testing is carefully managed, with a number of precautions and safeguards built into each permit granted to seismic operators. Seismic survey vessels maintain exclusion zones around themselves to avoid injuring marine animals, and onboard, trained observers keep watch so that survey operations can be shut down based on thorough protocols. Seismic surveying is safe, well-managed and critically important to pinpoint offshore energy. In some areas the offshore data is three decades old. It’s essential that this information be updated so sound decisions can be made on leasing, exploration and development. Again, we as Americans should have a rational conversation about safely developing our offshore energy wealth, free of the kind of hysterics that have accompanied BOEM public hearings on its proposed offshore leasing plan for 2019-2024. At one, a BOEM marine biologist reported being compared to Hitler during an exchange with a protester. America’s offshore energy belongs to all Americans. It’s critically important to a secure energy future, one in which natural gas and oil can continue helping all of us in our daily lives, as well as in powering past seemingly impossible challenges.